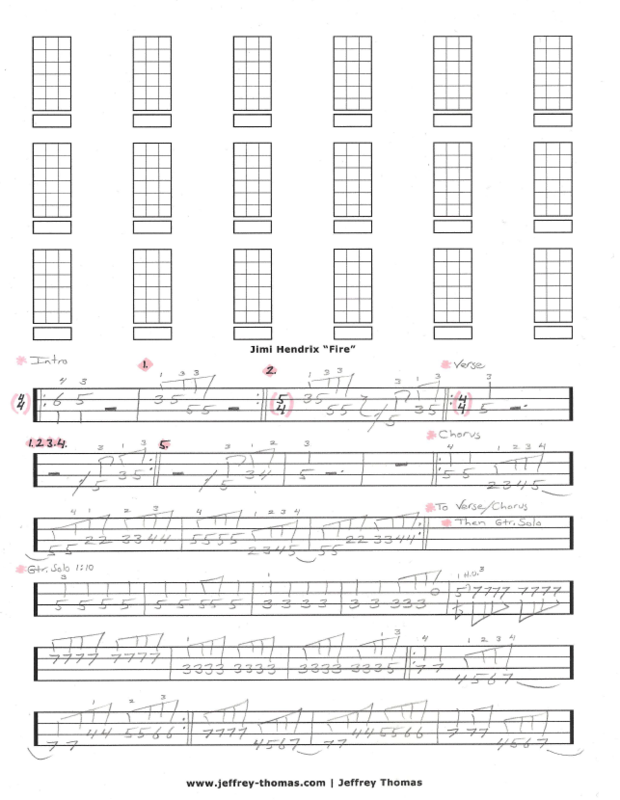 Jimi Hendrix Fire Free Bass Tab by Jeffrey Thomas. I have this classic Hendrix tune written out following the original studio recording and all the great bass lines played by Noel Redding. Learn the intro, verse, chorus and the line played behind the guitar solo all with proper repeats. Many of my bass students enjoy learning this tune. Want the full bass tab for free? Just send in your email address using the form provided. Looking for online bass lessons? Fill out the Schedule A Free Lesson form to set up your free Skype bass lesson today. This is a great tune to play on gigs! I hope you enjoyed the free bass tab and make sure to check out more online bass tabs on my tab, video and blog pages.